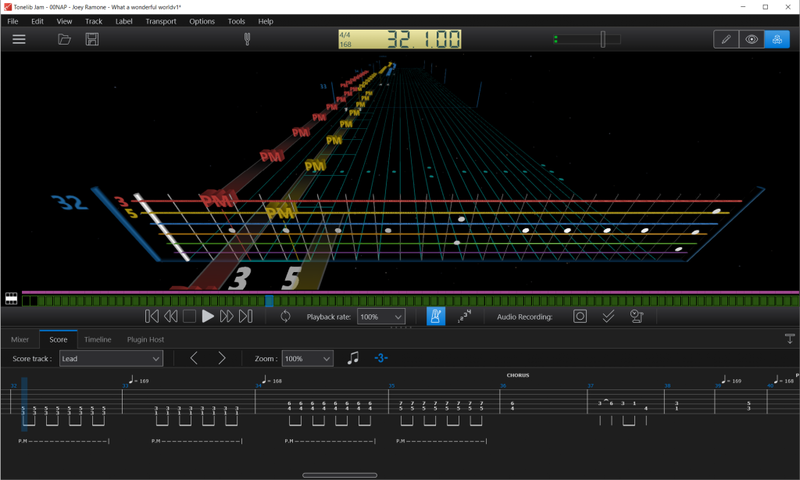 The Tonelib JAM is a software for creating, editing, printing and listening to tablature and sheet music for guitar and other fretted instruments. You can use Tonelib JAM for regular guitar practicing, for learning songs or for advancing your performance skills to the next level. The Tonelib JAM makes it easy to create backing tracks from just about any song. The internal player lets you change the playback tempo while keeping the same pitch and has facilities to loop a section of the music. If you’re an absolute beginner, Tonelib JAM is a perfect way of start learning to play an instrument. Find the tabs (or music sheet) of your favorite song or a music exercise, load it and start playing! Using the Speed Training loop function, you can learn even the hardest music pieces step by step. You can even use 3D View to make your study process look like a game. If you’re an intermediate musician and you’re looking for the place you can practice in the most comfortable way, Tonelib JAM is just what you need! Forget about the billions of windows with tabs, audio plugins, backing track players, MIDI interfaces etc. Now you can connect all these things in only one application. In Tonelib JAM you can place your backing track just next to the tabs, so you can associate your audio file and the current music bars. Also, you can choose the most comfortable tempo to play. Using the Instrument Mapping Scheme, you can create your own unique sound using your favorite audio plugins or the default ones according to the music genre you prefer. 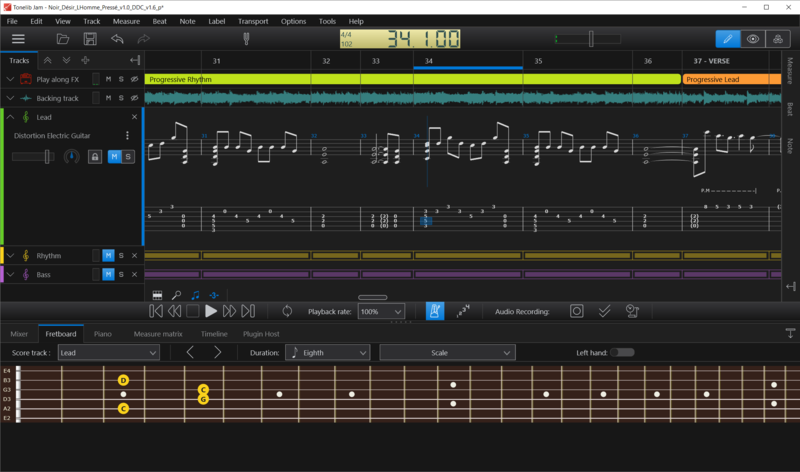 Tonelib JAM is perfectly suitable for the musicians ready to write their own music and need to create an arrangement for it in the easiest way. Tonelib JAM is a functionally complete software which provides wide tool range for creating tabs and music sheets. Download Tonelib JAM and try it out! This is the best way to learn what it can do. All product names, trademarks and registered trademarks are property of their respective owners. All companies, products and service names used in this website are for identification purposes only and are not intended to infringe on the copyrights of their respective owners. Use of these names, trademarks and brands does not imply endorsement.